In this innovative example of "just in time" training, ICR research staff introduce field conservationists working with rhinos, through the contents of a previously supplied Tissue Preservation Kit. 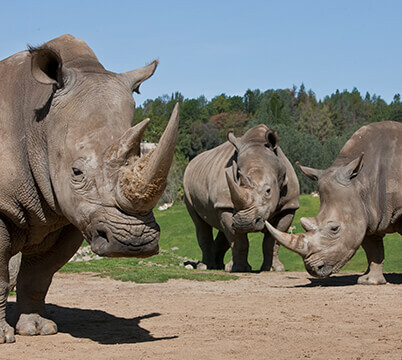 Because time is critically important when attempting to harvest reproductive tissues, field workers using this guide on a mobile device and by following the short, step-by-step, process will be able to collect, prepare and preserve rhinoceros oocytes for cryogenic preservation. If successful, these efforts may help lead to future sustainable assurance populations of rhinoceros with maximum genetic diversity.